This case was built for the Steve Harvey Morning Show. 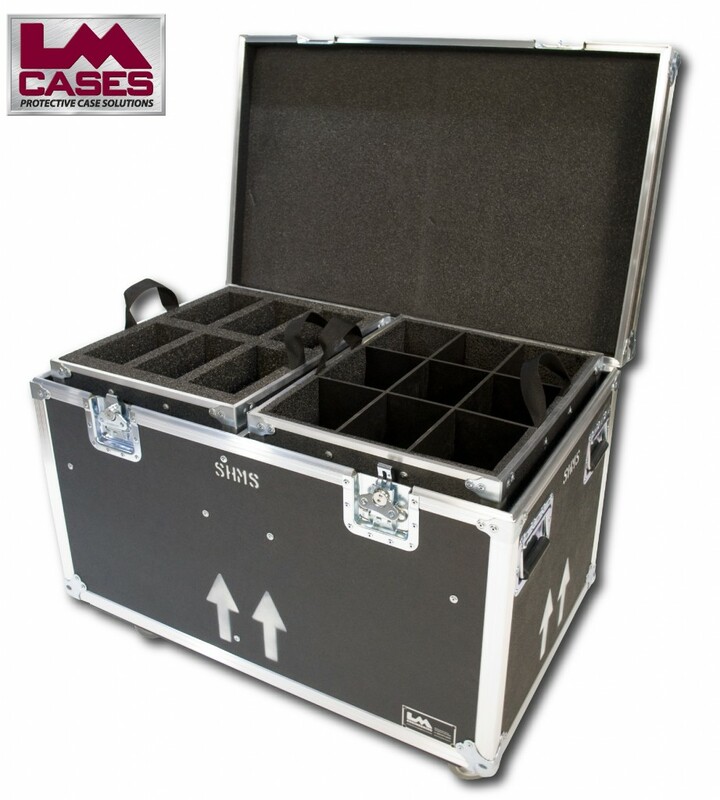 The case is designed to hold 6 Shure SM7B microphones and 9 Sony MD7506 headphones. 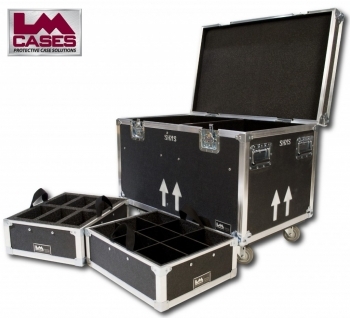 The case is built around 2 removable trays with storage underneath each tray for mic stands and cables. 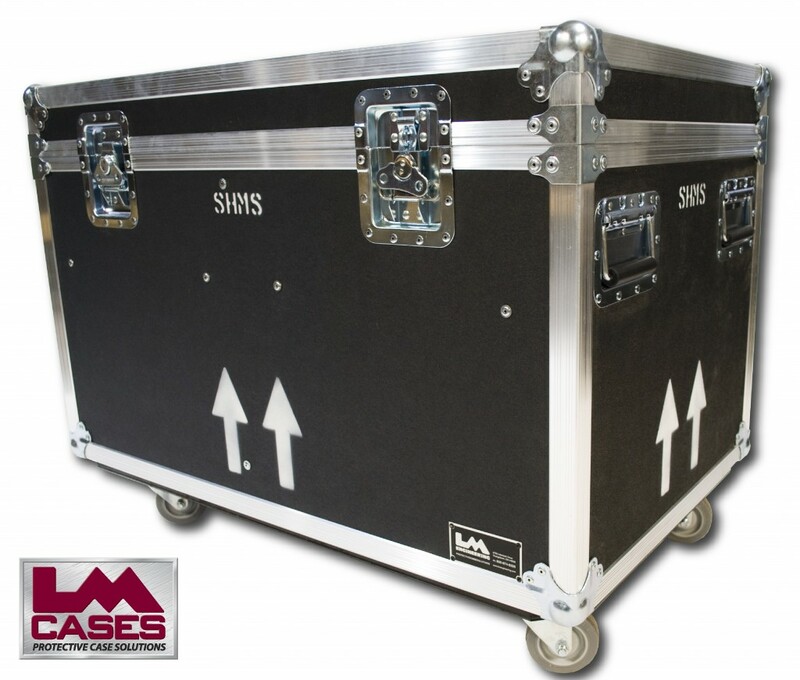 The mic tray features a custom CNC cut insert to hold each mic in its own foamed compartment. The headphone tray features a divider network made of Comatex plastic. The compartments under each tray are black carpet lined for misc. storage. The exterior case, and trays are built from 3/8" plywood laminated with black ABS. The exterior also features a padlockable hasp latch and 3.5" casters. Special thanks to the Steve Harvey Morning Show!